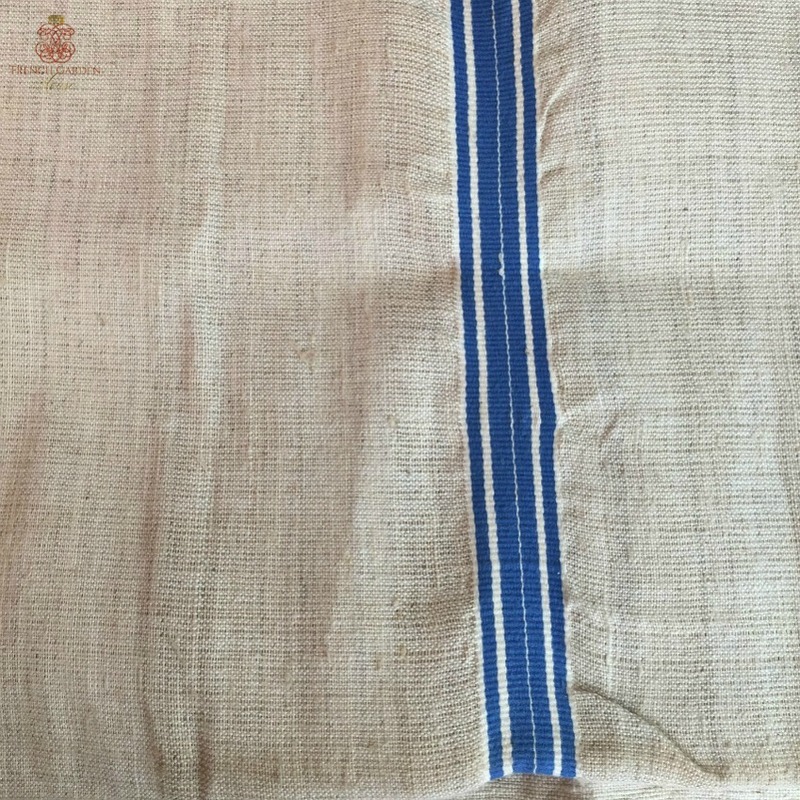 Antique French Towel, woven of a gorgeous Linen in oatmeal, with a woven in stripe accent in French blue. 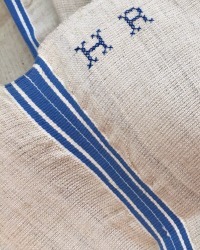 Hand Embroidered with cross stitch laundry marquette monogram H R in one corner. 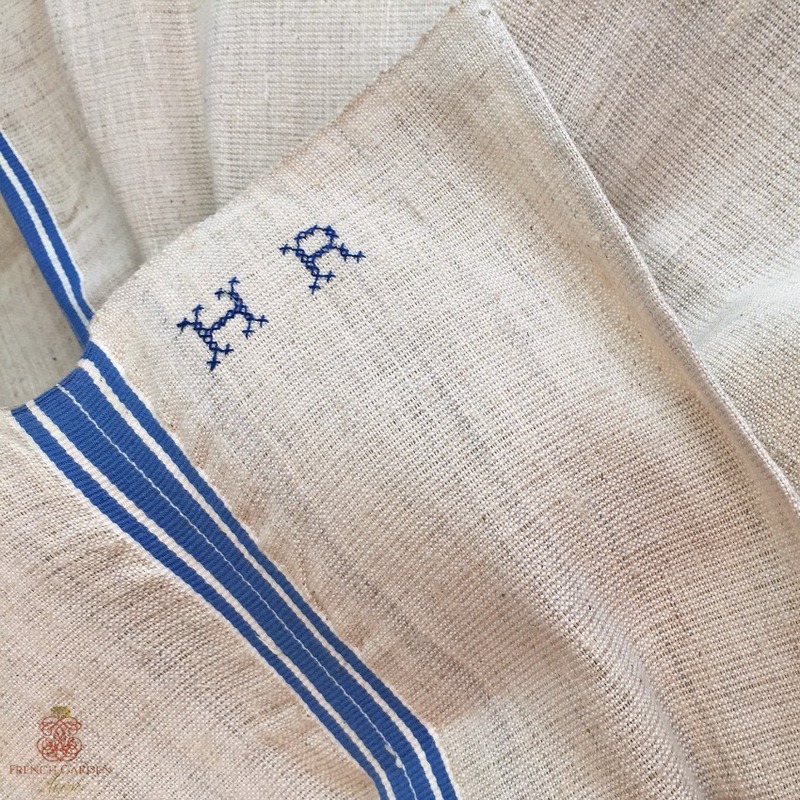 This is an heirloom quality linen...securely kept all these years in a French Hope Chest, part of treasured "Family Linen." Dating to the first half of the 1900's, this decorative beauty is cool to the touch and has a sturdy "hand" as only vintage and antique linen will have. Beautiful selvages, fantastic woven striped detailing, and medium weight make this a decorative joy! May have uneven weaving indicative of hand looming, this is an unused towel, in good antique condition, it has slight storage stains which will wash out. Perfect addition to your collection, for your French Country kitchen, to hang on your luxury range, to display with a farm basket holding your fresh baked bread.